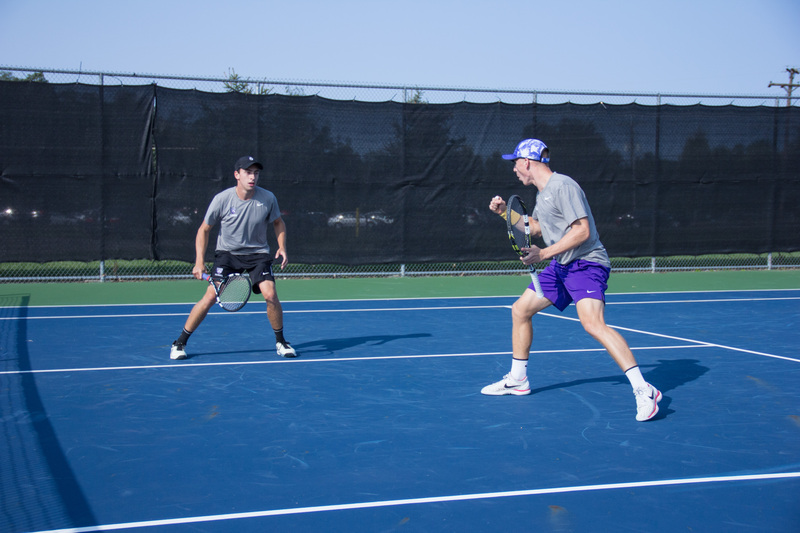 Kenyon men’s tennis opened their fall season with a solid showing at the Kenyon College Invitational. 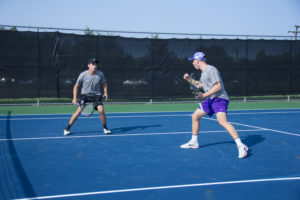 Ranked 25th in Division III tennis, the Lords faced opponents from Denison University, Ohio Wesleyan University, Oberlin College, John Carroll University, Case Western Reserve University and Carnegie Mellon University. Austin Diehl ’20 was one of the key performers, winning the top singles flight against John Carroll’s Gustavo Garcia in two sets 6-1, 6-1 and Ohio Wesleyan University’s Shouta Fukamachi 7-6, 6-1 in the first two matches. Finally, Diehl topped fellow Lord Jacob Zalenski ’20 in a closely contested three-set match, 3-6, 6-1, 10-4. In the third singles flight, Weston Noall ’18 finished in third place, topping his opponent from Oberlin in two sets 6-4, 6-3 before falling to Denison’s Mitchell Thai 6-1, 6-3. Noall found himself fending off Carnegie Mellon’s Kallas Shekar for third place. In the fifth flight, Max Smith ’18 placed second while teammate Anatol Doroskevic ’19 placed third. Ben Gelfand ’18 defeated opponents from John Carroll and Oberlin before falling to Denison’s Jacob Dennen and settling for second in the eighth flight. Peter Hazlett ’18 and his partner Henry Wessel ’21 celebrate after winning a point. In doubles, two Kenyon pairs took home first place. Diehl paired with Zalenski to win the doubles top flight, defeating teams from Oberlin, Case Western and Carnegie Mellon. Smith and Caleb Couvertier ’18 defeated pairs from John Carroll, Case Western and Carnegie Mellon to take home first place in the doubles fourth flight. Kenyon’s Doroskevic and Darius Loghman-Adham ’19 placed third in the doubles fourth flight. The Lords travel to Oberlin College next weekend to take part in the Oberlin College Invitational. Kenyon women’s tennis started their 2017 fall season with a difficult task as they headed to Bowling Green State University (BGSU) to face both Division III and Division I opponents. In singles, Mara Kaspers ’20 managed to beat Shawnee State’s Jessica Willard in three sets and Bowling Green’s Theresa Wassman. Kaspers fell, however, in the semifinals against Division II opponent Juliett Sirgant. Ceylan Can ’21 beat Jackie McDermott (Oberlin) in three sets, 6-3, 3-6, 10-6, but fell in two sets to Division I opponent Marta Bettinelli (BGSU). Ilana Blackwood ’21, Erika Oku ’21 and Kayla Pukys ’21 followed a similar pattern as their first-year counterpart Can, falling in the second round to Division I opponents. In doubles, the Ladies’ pairs of Oku-Aboubakare and Grace Winslow ’18-Kaspers are the only teams that managed a win in the first round. The Ladies’ next challenge will be a home match this weekend when they host the Kenyon College Invitational. Comments for this article have closed. If you'd like to send a letter to the editor for publication, please email us at collegian@kenyon.edu.